Mississippi Friends of Midwives is a non-profit organization dedicated to supporting and promoting midwifery as a safe and legal childbirth option for women and families throughout the state of Mississippi. We are a group of consumers and supporters of midwifery, not a professional organization for midwives. There has been an effort by lobbying groups to make direct entry midwifery illegal. Because of the current legal status (read more here), there are no public protection policies in place for the profession of midwifery. Any one can practice as a midwife in our state, even with no training. Midwives who have lost their right to practice midwifery in other states are free to come to our state to provide prenatal and maternal services. Due to bad outcomes from such midwives in 2010 the Nursing Board introduced a bill essentially making direct-entry midwives illegal by only allowing Certified Nurse Midwives to attend homebirths. In 2010 legislation was passed in the House of Representative (HB695) which would have limited the practice of midwifery to nurse midwives only. This would have made direct entry midwifery illegal and left homebirth families with no legal options for hiring a care provider. This legislation was the catalyst for the “birth” of MS Friends of Midwives. Fortunately, midwives and their clients flooded the capitol with calls and emails and the bill was not brought up for a vote in the Senate. MS Friends of Midwives supports legislation that would legally recognize direct entry midwives through the process of issuing Licenses. This legislation would require direct entry midwives to obtain the Certified Professional Midwife (CPM) credential from the North American Registry of Midwives (NARM) to provide out-of-hospital maternity care for healthy women experiencing normal pregnancies. NARM certification requires a rigorous educational and training process including a clinical internship that takes a minimum of 3-5 years to complete and a national board exam. Continuing education is a requirement for re-certification. Licensing provides a mechanism for families choosing home birth to verify their midwife’s credentials. NARM’s grievance process will provide some protection for families from midwives with known unsafe practices. 27 other states legally authorize CPMs to practice—some for more than thirty years—and not a single one of those states has rescinded its program. We are a non-profit organization dedicated to supporting and promoting midwifery as a safe and legal childbirth option for women and families throughout the state of Mississippi. We believe in a woman's right to make educated choices about her birth care provider and birth environment. We advocate the preservation of midwife-attended births, in accordance with the Midwives Model of Care including those at home, in hospitals and in freestanding birth centers. 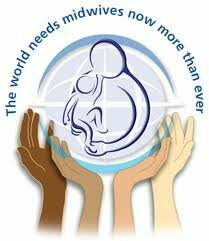 We will promote and protect the rights of all midwives and the women and families who birth with them. To advocate for legislation which increases, improves and supports access to midwifery care. 2010 Legislative Session: HB695 passed the House of Representatives. This bill, supported by the MS Medical Association and Nurses Association and popposed by Mississippi Friends of Midwives, would have restricted the practice of midwifery to Certified Nurse Midwives only, making illegal the midwives who attend out of hospital birth. 2011 Legislative Session: HB207 passed the House of Representatives. This bill, supported by Mississippi Friends of Midwives and opposed by the MS Medical Association, was written to license midwives. However, in the committee hearing, the bill was changed drastically to be a registry of midwives. MS Friends of Midwives no longer supported the bill. A registry of midwives would accomplish nothing to improve care or protect families. 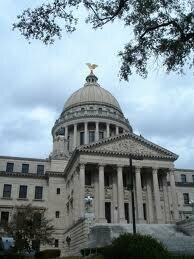 2012 Legislative Session: A licensing bill, supported by Mississippi Friends of Midwives was introduced in both the House and Senate, but was not heard by either the House Public Health & Human Services Committee or Senate Public Health & Welfare Committee. This was the first session for a record number of new legislators and the power in both houses of the legislature being Republican. Currently, lack of state legislation allows the practice of midwifery without any training or skills assessment. Because surrounding states require licensure, Mississippi has become an asylum for unsafe midwives. The Midwife Standards Act allows midwives who have earned the Certified Professional Midwife (CPM) credential from the North American Registry of Midwives (NARM) to become Licensed Midwives and provide out-of-hospital maternity care for healthy women experiencing normal pregnancies. NARM certification requires a rigorous educational and training process including a clinical internship, with a senior member of the profession, taking a minimum of 3-5 years to complete and a national board exam. Continuing education is a requirement for recertification. CPMs have written practice guidelines and transfer protocols. With passage of the Midwife Standards Act, Licensed midwives will operate within regulations set forth by the Mississippi Licensed Midwifery Board. Each year, more families are choosing home birth and hiring midwives as their maternity care provider. According the MS Department of Health, midwife attended birth has increased by over 400% between 1996 and 2010 (15 and 62 births respectively). 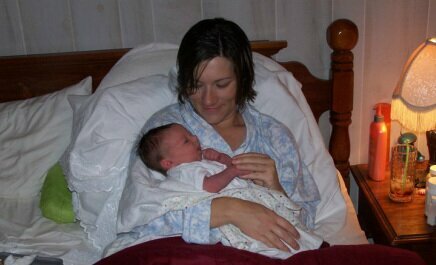 A recent study reported that nationally, home birth has increased 20% from 2004 to 08. The average cost of a midwife-attended home-birth is about one-third to one-half the cost of a doctor-attended hospital birth, including all prenatal care. 27 states have passed laws authorizing midwives to practice (including TN, FL, LA and AR), not one has rescinded it’s program. A growing number of states (13) have added licensed midwives as a Medicaid provider, including Florida. In 2010, Congress passed a bill to extend Medicaid coverage to CPMs in a birth center. Federal legislation is pending to extend Medicaid coverage of CPMs in any setting. Home Birth with a qualified care provider is safe. Research consistently shows that lowrisk women planning home births with CPMs have better maternal outcomes, equal infant outcomes, and fewer costly interventions, including a five-fold decrease in cesarean section.